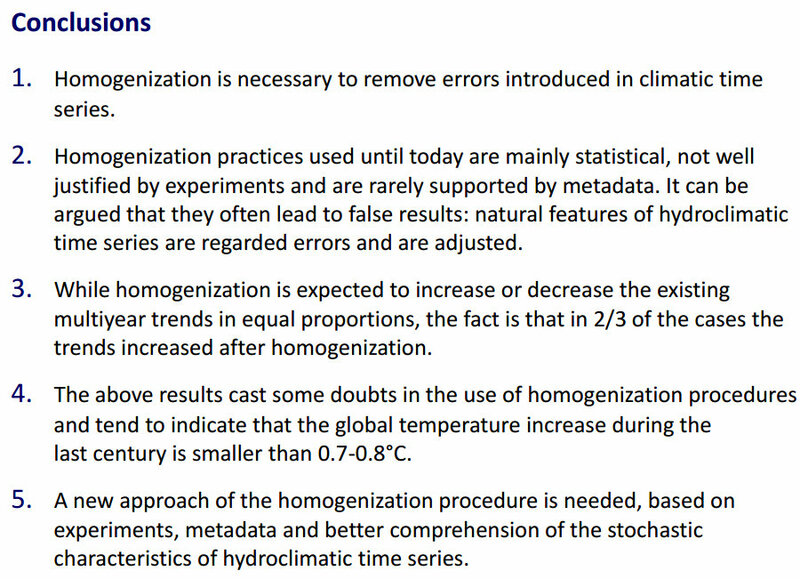 "homogenation practices [adjustments to raw data] used until today are mainly statistical, not well justified by experiments, and are rarely supported by metadata. 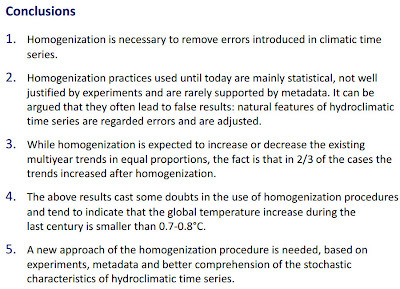 It can be argued that they often lead to false results: natural features of hydroclimatic times series are regarded as errors and are adjusted." 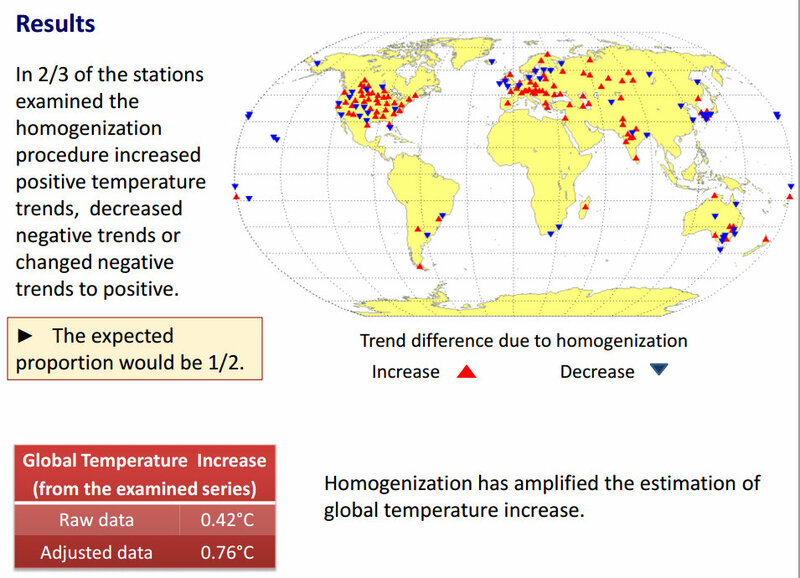 "While homogenation is expected to increase or decrease the existing multiyear trends in equal proportions, the fact is that in 2/3 of the cases the trends increased after homogenation"
"The above results cast some doubts in the use of homogenation procedures and tend to indicate that the global temperature increase during the last century is smaller than 0.7-0.8°C"
Steve Goddard has been posting about massive adjustments to the U.S. data. Deja vu for the New Zealand government database which is now the subject of a court battle. I have been watching the monthly adjustment changes at NCDC. 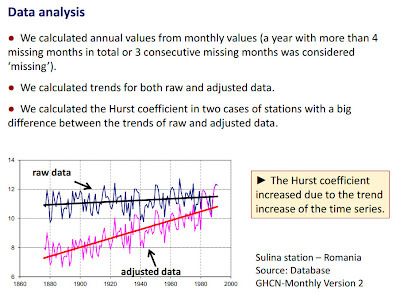 Every months the previously made adjustments are adjusted even more. 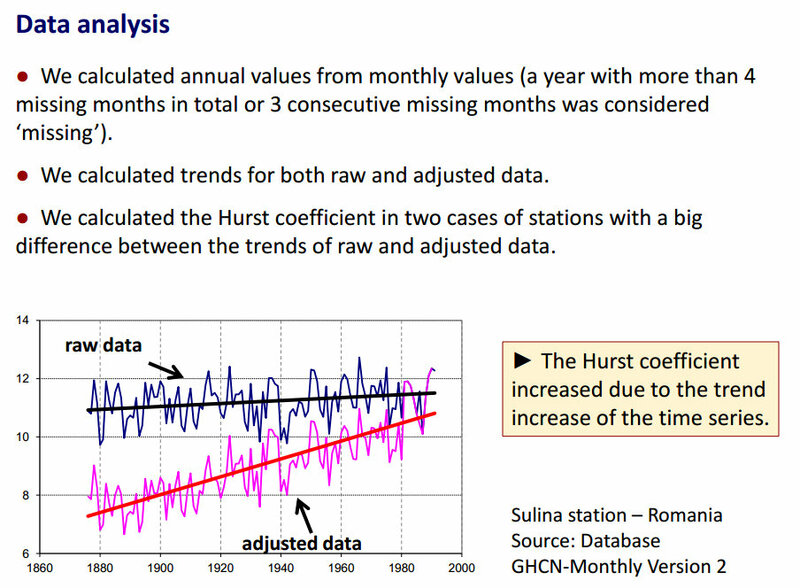 As a result, with every passing month the past before about 1950 is adjusted colder and the more recent data since then are adjusted warmer. It's just a mess and nobody wants to go on record explaining the process or producing the methodology used. I was sent links to the abstract/presentation as an anonymous tip that did not mention this blog post. If this was the tipster's source, then a hat tip and thanks to them.